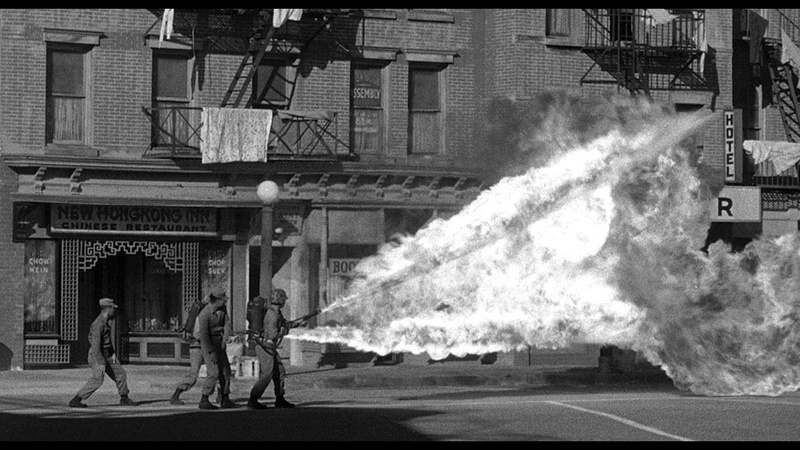 B&W, 1955, 79 mins. 6 secs. 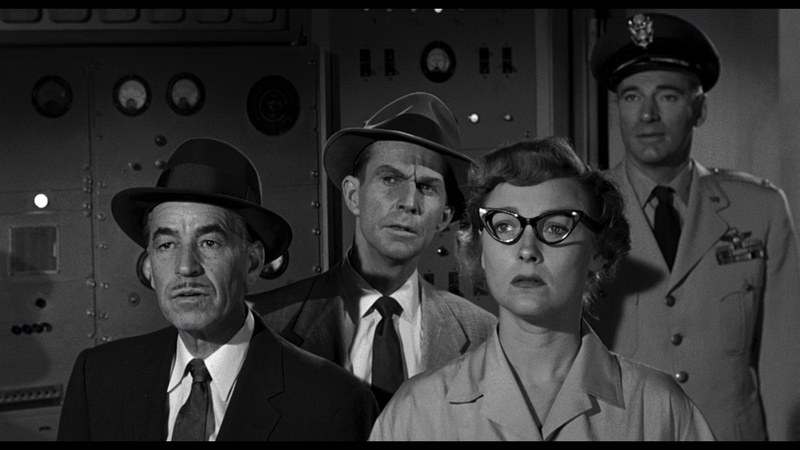 B&W, 1957, 82 mins. 30 secs. Color, 1960, 98 mins. 37 secs. Following its exhaustive three-movie set of Ray Harryhausen's Sinbad series, UK label Indicator strikes again with the second of three dual-format Blu-ray and DVD boxes devoted to the groundbreaking maestro of stop-motion animated fantasy and science fiction. This set, called The Wonderful Worlds of Ray Harryhausen, Vol. 1, aims to be the final word on another trio of classics representing more of his prime work at Columbia Pictures in the latter half of the 1950s. First up is It Came from Beneath the Sea, a much-loved creature feature about a giant rampaging, radioactive octopus attacking San Francisco. 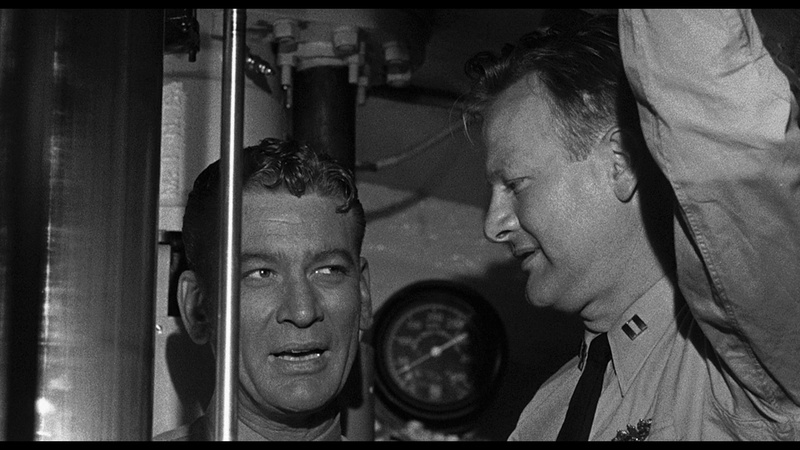 That should be enough to get you to watch it, but just in case, the plot involves a nuclear submarine captained by Commander Mathews (Tobey) that makes contact with the giant underwater beast. 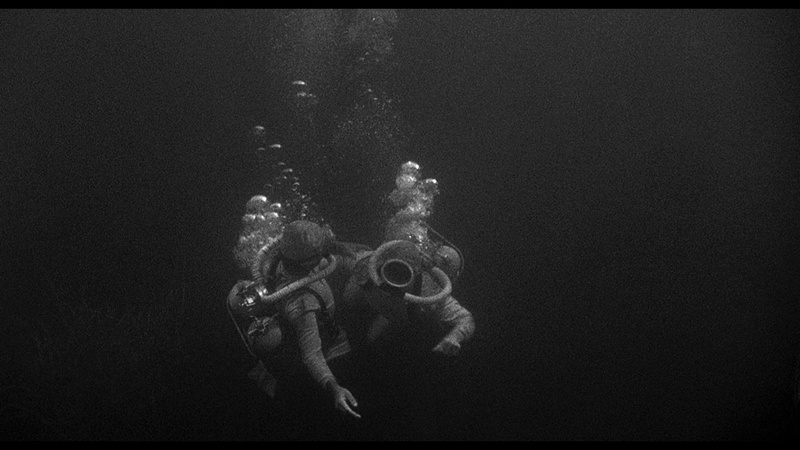 With the aid of two marine biologists, Lesley (Domergue) and John (Curtis), it's determined that atomic testing in the region has brought the beast up from unexplored depths in the ocean. 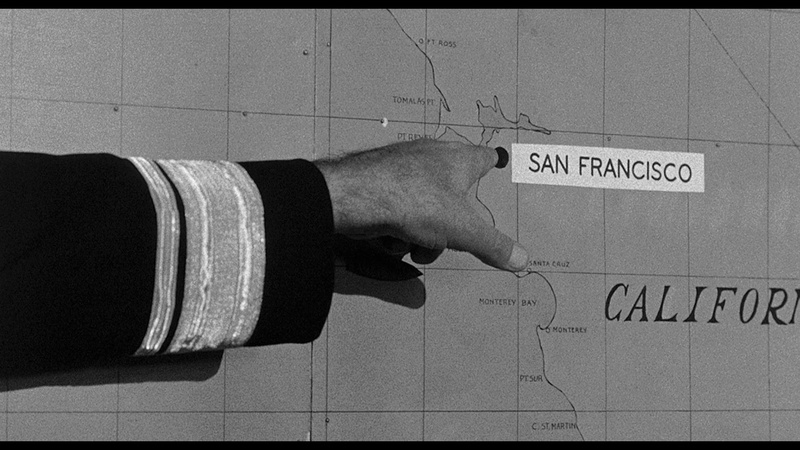 Other sudden attacks on fishing boats are tied to the monster as well, but a plan to save the nearby residents of San Francisco instead turns into an all-out monster assault. 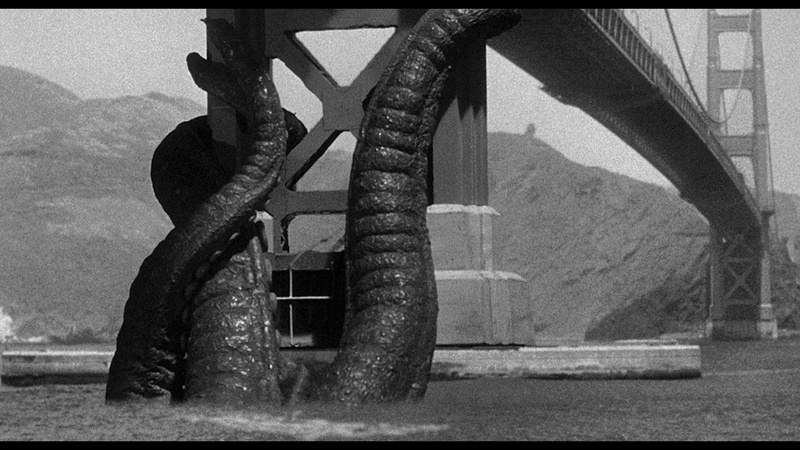 Harryhausen's first film for Columbia (where he would turn out the majority of his later films), It Came from Beneath the Sea is a highly enjoyable example of '50s nuclear monster programming at its slickest and finds Harryhausen in fine form with the famous sequence in which the octopus (which only sports six tentacles due to budgetary constraints) attacks the Golden Gate Bridge. 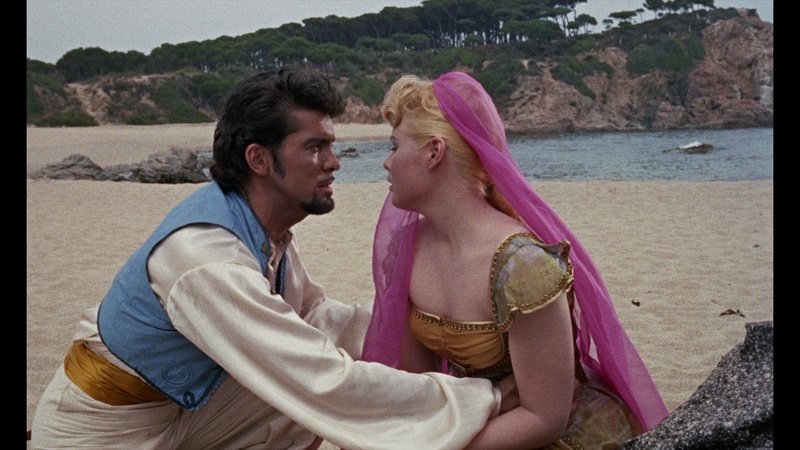 As usual the humans are mostly disposable cardboard characters, but it hardly matters when you have '50s B-movie heavy hitters like Tobey and Domergue holding down the fort. The title has been a regular favorite on home video from its original RCA/Columbia VHS release through its 2003 letterboxed DVD and a U.S. Blu-ray in 2008 as part of Sony's The Ray Harryhausen Collection (along with Earth vs. the Flying Saucers and 20 Million Miles to Earth). The Indicator release features all of the relevant extras from the past Sony release (the 2K-sourced HD transfer looks excellent with grain and process shot anomalies intact) with some new goodies thrown in as well; both the original B&W and Harryhausen-sanctioned colorized versions are included (with an option to toggle between them via the angle button on your remote), with LPCM mono or DTS-HD MA 5.1 English audio options (with optional SDH subtitles). An audio commentary featuring Harryhausen, Randall William Cook, John Bruno and Arnold Kunert is as good as Sony's other tracks with the master, functioning as a sort of gleeful movie fan forum and history lesson in how stop action animation was advancing at the time. The new "Tidal Wave of Terror!" 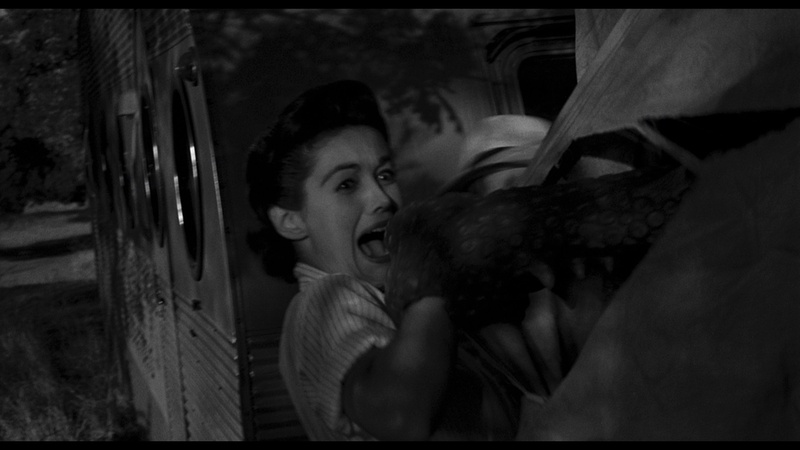 (7m40s) features eternal monster kid Joe Dante rhapsodizing about experiencing this film for the first time on a double bill with Creature with the Atom Brain and being a fan of Tobey's monster movie output throughout the decade (also including The Thing from Another World and The Beast from 20,000 Fathoms). 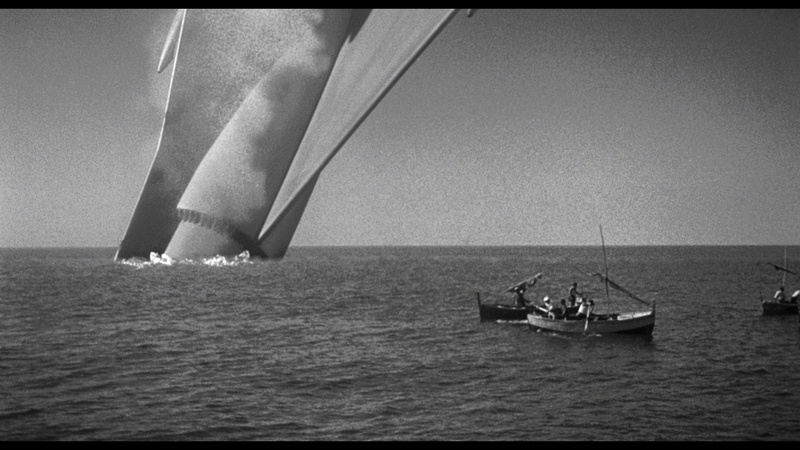 "Remembering It Came from Beneath the Sea" (21m45s), from the earlier Sony release, has Harryhausen explaining how he ended up at Columbia with producer Charles Schneer, with additional comments provided by visual effects supervisor John Bruno. "Tim Burton Sits Down with Ray Harryhausen" (27m9s) is another older extra carried over here, with the pair having a relaxed and sometimes giddy walk through his films with a very familiar prop on hand as well. "A Present-Day Look at Stop Motion" (11m38s) features animation student Kyle Anderson showing off some modern stop motion techniques in front of a green screen, while "Original Ad Artwork" (17m52s) features producer Arnold Kunert showing off a wealth of promotional material from the film's theatrical release. "It Came from Beneath the Sea Again" (13 images) previews a 2007 comic adaptation of the film, followed by the trailer (in its original form or a Trailers from Hell option hosted by Ernest Dickerson) and an image gallery of stills and posters (23 images). Harryhausen's third Columbia film, 20 Million Miles to Earth, is essentially his take on the sympathetic King Kong monster formula as he creates one of his best-remembered and most sympathetic beasts, known everywhere but in the film itself as the Ymir. Director Nathan Juran, who would helm 7th Voyage of Sinbad the following year in 1958 and go on to The Brain from Planet Arous and First Men in the Moon, does a slam-bang job here with the story of the mayhem unleashed when an American spacecraft en route from Venus crashes into the Sicilian sea, leaving two astronauts to be saved in the nick of time by nearby fishermen. The pilot, Bob Calder (Holden), is temporarily incapacitated while a local boy finds a mysterious metal canister containing an unearthly gooey substance, which the kid sells off to a researcher in town. A creature soon hatches out of the blob and grows at a very rapid rate, becoming huge enough in a couple of days to terrorize the countryside and make its way to Rome for a big showdown with the military. 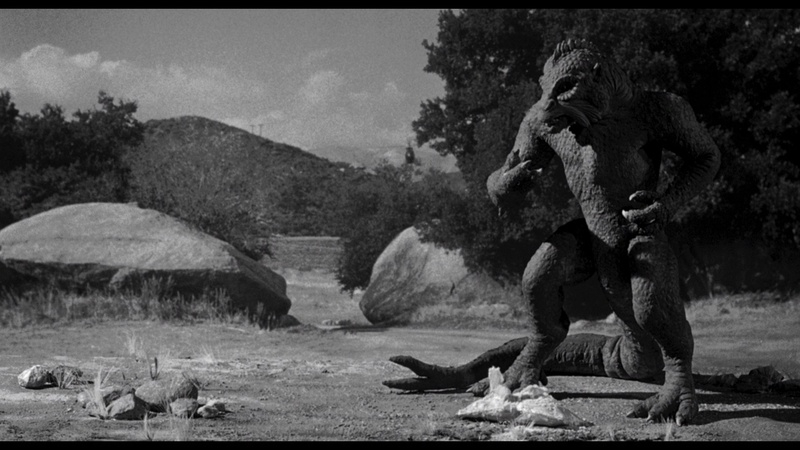 Though the story set up here is fairly standard (pretty much the same in the first stretch as The Quatermass Xperiment), the difference here lies in Harryhausen's masterful execution of the Ymir itself as it evolves from a small hatchling to a towering monster capable of posing a threat to the population. 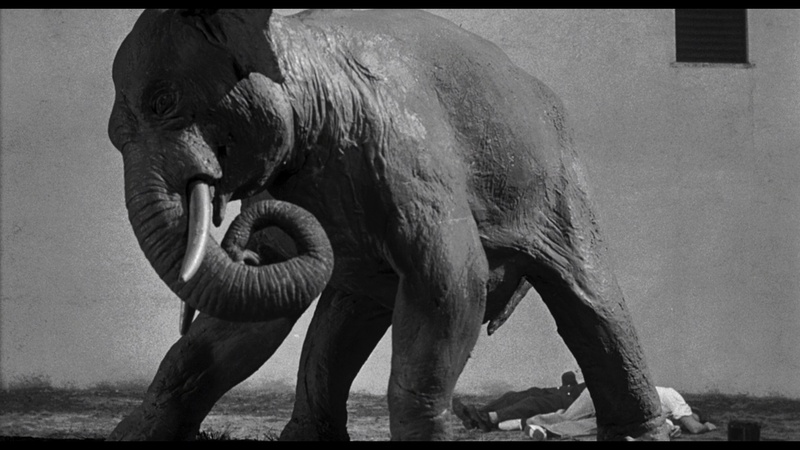 This is really the first time he got to animate a fully developed fantastic creature with a personality and imbue it with a sense of soul, something he didn't have the chance to do on his more traditional rampaging giant outing for Warner Bros., The Beast from 20,000 Fathoms. 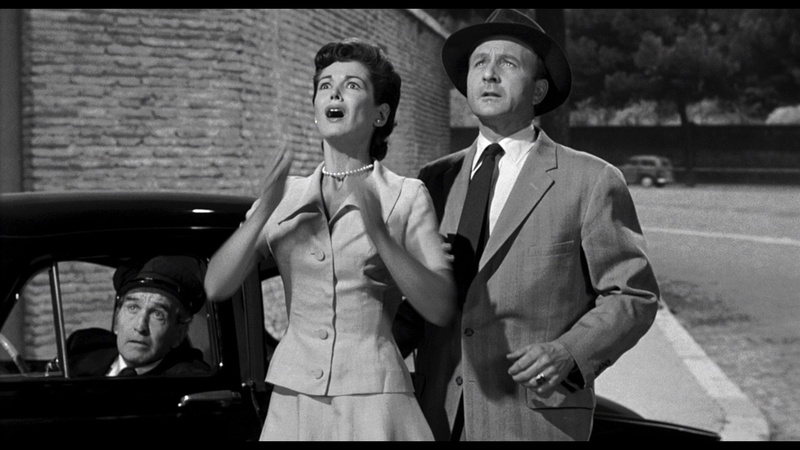 The Italian setting also makes for a nice change of pace, even if much of it was created in a studio; the local flavor and diverse selection of local residents definitely feels refreshing after seeing the usual American metropolises in peril, with the climactic attack at the Coloseum certainly qualifying as a cinematic first. The video history of this film is fairly similar to Sea except that it didn't hit home video until Pioneer issued a much-loved laserdisc in 1991 (five years before it ever hit VHS at all). The domestic Blu-ray in that Harryhausen set was an attractive and very satisfying package back in 2008, and the Indicator release again ports over all the relevant extras with some new material as well. As with the prior film in this set, the transfer looks essentially identical and still holds up very well, with DTS-HD MA 5.1 and LPCM mono options included with optional English SDH subtitles. (The Sony releases didn't include the original mono, so that's a nice perk here.) Carried over from the Sony Blu-ray is an entertaining (and international!) audio commentary with Harryhausen, Jurassic Park's Dennis Muren and Phil Tippett, and Arnold Kunert, which covers the original idea to set the film around Lake Michigan (but "I really wanted that trip to Rome! "), the visual trickery behind the rocket crash, the ins and outs of the black and white film stock available at the time, and more. (This track was recorded for the colorized version, which is also included as a viewing option here if you're so inclined.) Muren appears for another of his Harryhausen appreciations (11m29s) about the magic of realizing how moving puppets were behind the life-changing illusions of these films, while "Remembering 20 Million Miles to Earth" (27m3s) from the older release features a Harryhausen interview (with Terry Gilliam, Rick Baker, the Chiodo Brothers, Stan Winston, and John Canemaker chiming in) focusing on the genesis and execution of the film's memorable creature, whose name was suppressed in the final film due to perceived Arabic associations. (The story behind the perspective trick with the huge elephant is pretty great, too.) 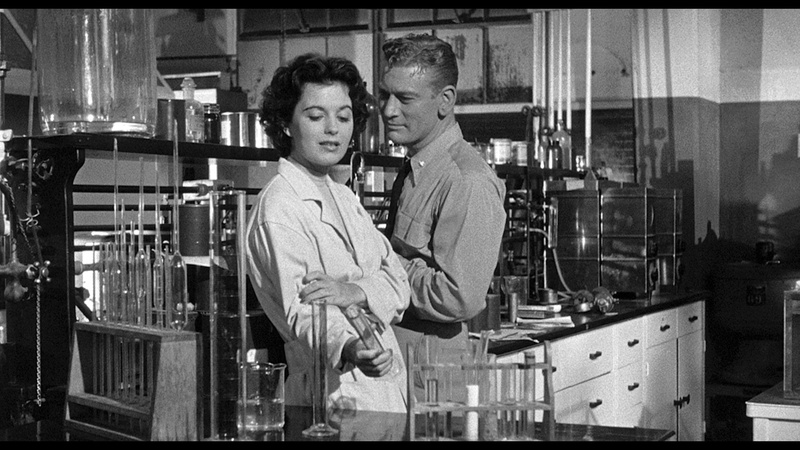 Actress Joan Taylor comes up next with another Sony interview (17m29s), seeming incredulous about the film's long-running popularity and chatting about her challenging rise through the acting ranks at the time including a thwarted stint at Paramount that led her to Columbia. "Film Music's Unsung Hero" (22m33s) features soundtrack producer David Schecter chatting about composer Mischa Bakaleinikoff, whose simple but effective work (which was largely commissioned as library music) found its way through the early Harryhausen films and even ended up in TV commercials. 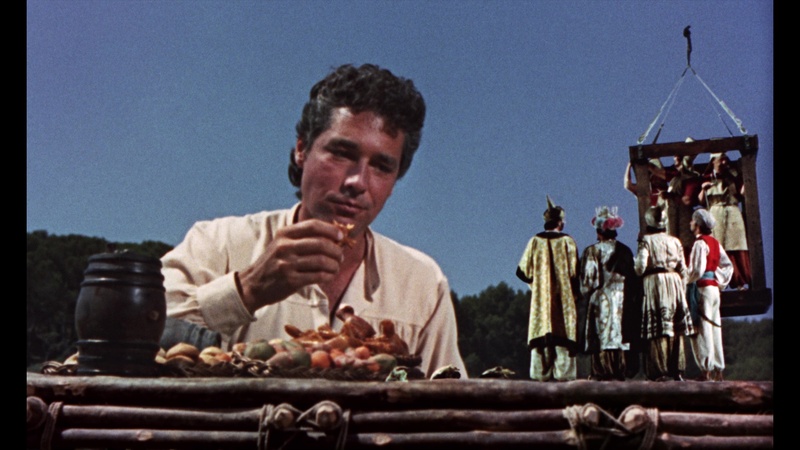 "The Colorization Process" (11m2s) features Harryhausen and Legend Films' Barry Sandrew explaining the rationale behind adding color to the film decades after the fact, while "20 Million Miles More" (21 images) previews another 2007 comic book series based on the film. Also included is the silent Super 8 condensed version of the film (8m39s), followed by the theatrical trailer and a gallery of stills and posters (36 images). 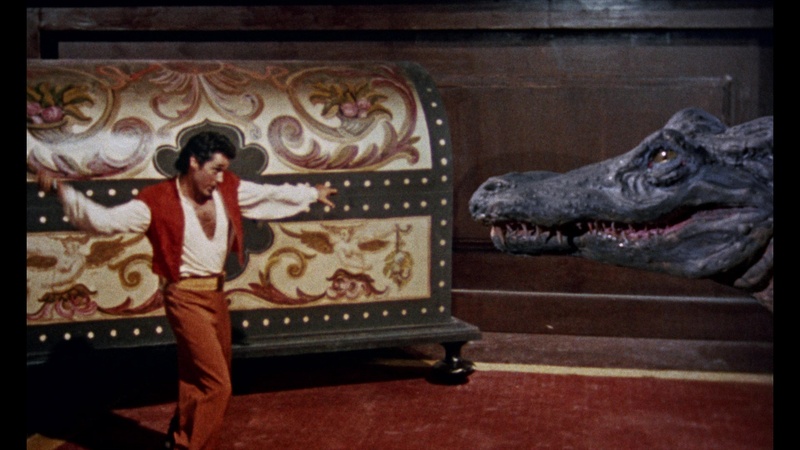 The last film in the set is Harryhausen's immediate successor to 7th Voyage of Sinbad and another starring vehicle for its star, Kerwin Mathews: The 3 Worlds of Gulliver, a colorful and ambitious live-action adaptation of Jonathan Swift's famous satirical novel, previously filmed most famously by Max Fleischer as an animated film. Like other versions it focuses on a small portion of the novel including its most famous section in which ship's surgeon Gulliver finds his global expedition turned into a shipwrecked plunge into fantasy on the island of Lilliput, which is populated by little people who restrain him on the beach with ropes. Gulliver has also recently said goodbye to his fiancée, Elizabeth (Thorburn), who stowed away on the ship, and they are soon reunited in the land of Brobidgnag, inhabited by giants. His journey also involves Lilliput's rivals in Blefuscu, a feud based on a silly culinary custom, which manages to touch on Swift's political satire with other barbs thrown at the persecution of scientists and the maddening process of trying to talk compromise to warmongering parties who refuse to budge. 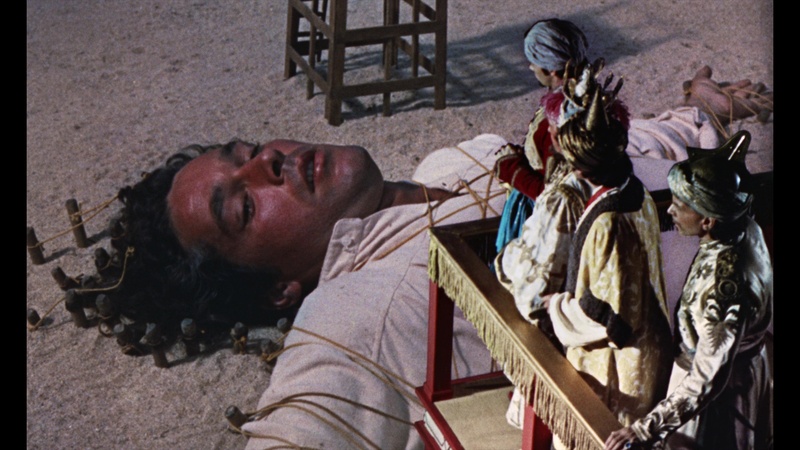 As with Sinbad, this film features a rousing score by the great Bernard Herrmann and looks great with Harryhausen clearly indulging himself with his second feature in color. The lack of any fantastical beasts has kept this one from earning the fan following according to some of his other films, but at least you do get an alligator battle and the unforgettable sight of Mathews being dragged around by a giant squirrel! As the most comedic of Harryhausen's fantasies it's perhaps not the best one to start with, but those who appreciate his handiwork should find much to enjoy here including another solid leading turn by Mathews (who should have been a bigger star). There's also a bizarre twist(?) ending via a line of dialogue that puts this story into same very peculiar territory worthy of a David Lynch time and space loop, too. Less seen over the years than its Harryhausen peers, Gulliver also didn't hit VHS until '96 and also got the Pioneer Special Edition treatment. For some reason Sony only issued a moderately cropped DVD in 2010, with a letterboxed 1.78:1 version issued overseas for some reason. The first Blu-ray from Twilight Time in 2016 featured an odd decision to include both 1.66:1 and 1.78:1 options, with the latter filling the screen on HD sets and lopping some information off the top and bottom. 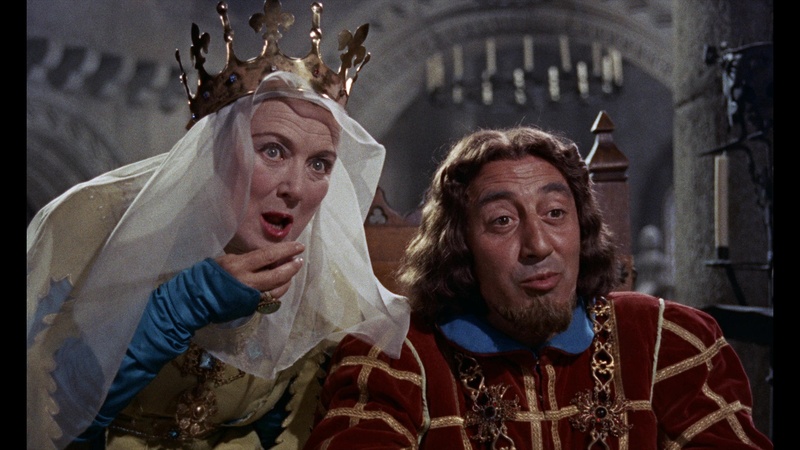 The Indicator release wisely opts for the 1.66:1 option only and gives the film a more generous encoding in the process, which results in the best rendition of the film on home video to date. Everything from the Twilight Time release is ported over to the Indicator (apart from the generic "The Harryhausen Chronicles" and "This Is Dynamation!," both in the Sinbad box instead ), beginning with a dense and lively commentary with Randall Cook, C. Courtney Joyner, and Steven C. Smith about the film's adaptation choices, the state of Harryhausen's post-7th Voyage animation process, and the creation of the score. Speaking of which, the isolated Herrmann score is a very welcome touch as it's very difficult to find a legit, good quality version of it otherwise (and the sound quality is perfect). Also included from the U.S. edition is "The Making of 3 Worlds of Gulliver" (5m22s), which features Harryhausen discussing the challenges of using traveling mattes to create the illusions of enormous or tiny sizes. In a new addition, three creative forces from Aardman Animation are represented by interviews with Peter Lord (10m14s), David Sproxton (9m29s), and Dave Alex Riddett (8m38s), as they recall the profound impact Harryhausen and his personal touch had on their own artistry (with 7th Voyage of Sinbad and Jason and the Argonauts getting a lot of love in particular). The trailer and a gallery of 45 stills and posters closes out the disc, while the box set also features an 80-page book with new essays by Kim Newman, Dan Whitehead and Charlie Brigden. Reviewed on September 26, 2017.